It has long been my habit of ensuring that I spend at least 15 minutes a day doing something creative. I highly recommend the practice – especially if inspiration seems to have disappeared. The object is to do something. One of my favourite materials is Abaca Tissue. This plant based tissue has some lovely properties. Firstly – it takes colour very well, and a variety of results can be created using either water colour or dye. Patterns are sometimes a surprise – but whether light or dark they are always useable. Once dry they take on a new personality. Cut or torn into strips they can be layered into landscapes and more. This versatile material can also be used as a basis for stitch – but more about that another day. I’ll also be posting for this challenge at ChittleChattle.com – completely different subjects. Lots more blog posts in this series can be found by following this link – or the one in the sidebar. Thank you for teaching me something new today!! Now I want to try this! You won’t be disappointed. Thanks so much for dropping in. I love this. I need to get some for my art journals. Definitely useful for art journals! Use it with Matte Medium for translucency. Nice post! 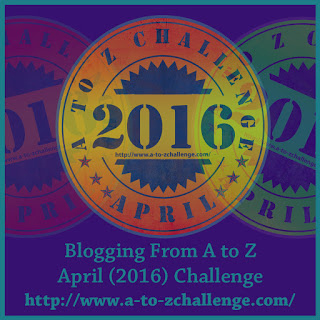 I enjoyed finding your blog through the A to Z Blog Challenge. Good luck with A to Z! It sounds like a very interesting material to work with. It is – very versatile. Thanks for visiting. Oooh pretty! I haven’t seen this before, but it’s a great effect, and so versatile! Just stopping by as part of the A-Z challenge 🙂 Good luck with the rest of the alphabet!! This was really interesting, thank you! I’m definitely going to have to try this. You will find so many uses for it. It’s a little addictive……. Thanks for dropping in. I’d never even heard of Abaca Tissue before this post, and it’s a material I must figure out some uses for. Maybe a dress for one of my amigurumi? I’d love for you to come check out my blog, Ink & Stitches: http://blog.jhwinter.com where “A is for Amigurumi” and that’s just the beginning! There are several weights. I’m sure one might work. Thanks for dropping by. Will pop over shortly. Neat stuff, I’ll have to see if I can find it in Ecuador. It might get me crafting again. Thanks for teaching me something new today! I have never heard of Abaca Tissue. Is it different from tissue paper? More like a coffee filter? I can’t believe how much I’ve new stuff I have learned about today doing the A to Z Challenge. Yes it’s a good idea to do something creative every day, and taking 10 -15min per day can then lead into something more! Love your discipline of doing something creative each day. I enjoy paper crafts/altered books and this tissue will be a perfect project to then use to cover a page in an a-book. Thanks. If you have time, come and visit hotels and inns with me during April. Next Next post: Blogging from A-Z April Challenge – B is for..